Hi beautiful friends! 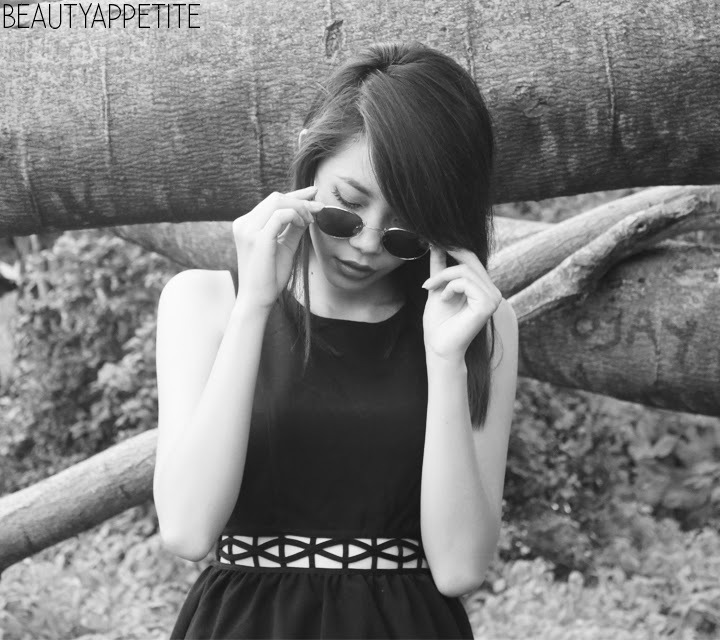 I teamed up with Miss Lie Collection to do a giveaway for you guys, to celebrate Christmas and also the second anniversary of Beauty Appetite! 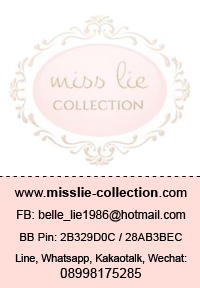 Miss Lie Collection is a web-based beauty store. 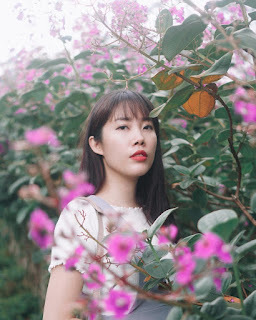 They sell Korean, Hong Kong, Japan, and USA beauty products, the best thing is that all of products are ready stock, so you don't have to wait for weeks or even months for your favorite beauty products! The prices are also affordable, a lot cheaper than stores, they always have some items on sale too! You don't have to worry about the quality, they only sell original product. So I was asked to choose one prize for you guys, they have so many collection there are so many products to choose, I even spent hours to choose the prize haha, and finally I found my favorites products, but I couldn't pick one between these two. The first one is Etude House CC Cream which is really famous in Asia, and the other one is the most famous eyelash curler, Shu Uemura Lashes Curler! The winner can choose the prize from my two picks, and there will be two other persons to get some beauty product samples. There will be THREE winners in total, yay! This giveaway is only for Indonesians and will be closed on December 31st, 2013, I will announce the winner the day after. Click 'Copy to Clipboard' then paste it to your sidebar! That is all! Easy right?! Now, leave your 'Christmas Wish List' link and email address on the comment section below. Now, what are you waiting for? Join now!!! I've always been taught to be thankful of what I have in life. I know that as a human, we will never be satisfied with what we have, we will always want more and more and more. We will always keep searching for something better. However, this is just a little reminder for myself that I have to be thankful in life, for everything that I have. Life is not about getting new car or buying new designer bags and shoes. That doesn't mean that I don't want to move up to get a better living, I work hard to get what I want, but sometimes we need to pause a moment and be thankful. There are lots and lots of people who have perfect life and I used to envied them when I was younger, why can't I be like them? But maybe my goal in life is not about being 'perfect'. My goal is about to do something different, because my path is different than theirs. At the moment, I still have my loving family, my parents who always stick one and another, two genius little sisters with their own talents, when some people wanting to have a family. I get enough food every single day, when some people don't even get clean water to drink. My parents can afford me to go to college and I'm about to graduate next year, when some people have to work really hard to pay for the tuition. I sleep safely every single night, when some people have insomnia. These are simple things that sometimes I don't appreciate in life. When you think that your life is miserable, just think that there are thousands of people are desperately want to live their life like yours. My Dad always say, 'Do not look up too much the sun light's will blind your eyes, but look down so your feet won't be stumbled.' Be humble, always. Sorry for the sad face, it was raining and I couldn't take my photo outside, I was pretty depressed at that moment because I couldn't get much lighting :( But anyway I think my sad slash angry face really complement the all black outfit ha! 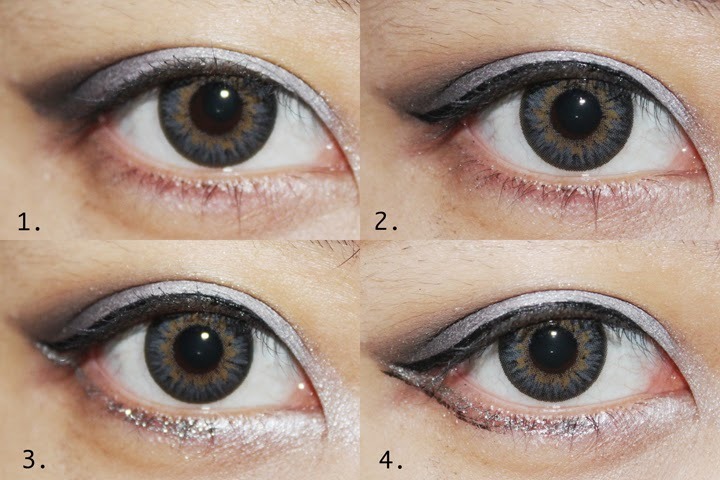 I did silver makeup and double wing eyeliner for my eyes, you can see the makeup tutorial HERE. I love holiday season!! I still remember people gave me so many Christmas presents when I was little, I felt like having my birthday. But nobody give you presents when you're an adult :( BOO! That okay though, Christmas is my favorite holiday... But since we don't have four seasons in Indonesia, and therefore it doesn't snow here so we can't have a White Christmas, where it's snowing in the Christmas day, I'm making my own White Christmas which you can recreate by yourself! 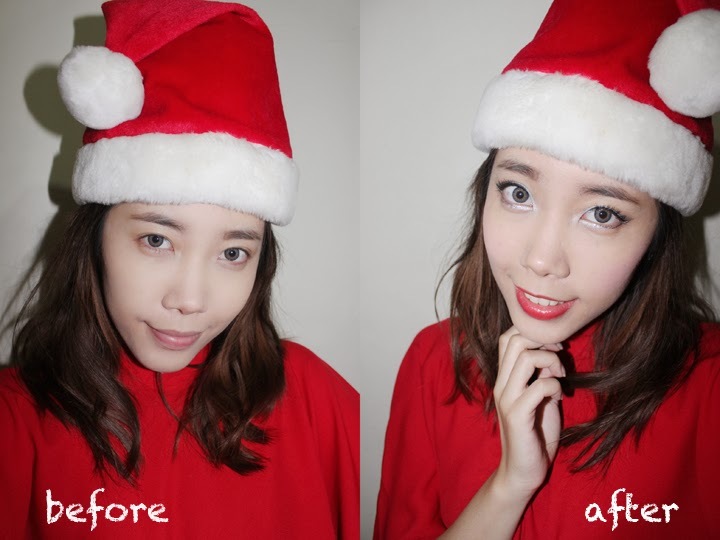 I used white and silver eyeshadow to create sparkling look, which is inspired by White Christmas, and you can see my eyes appear bigger and brighter using white and silver eyeshadow! I LOVE IT! 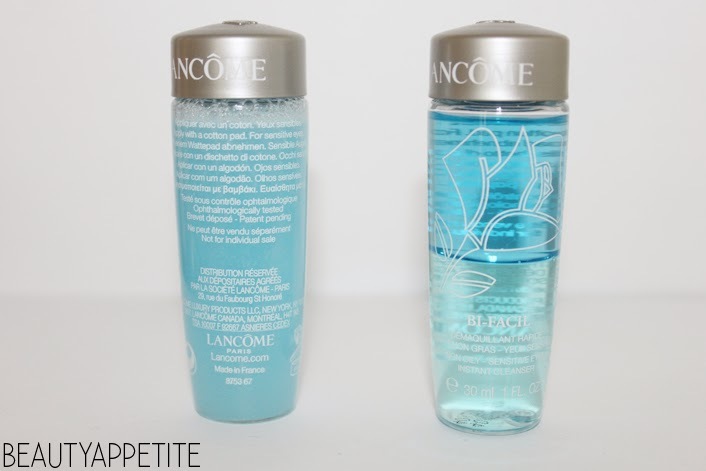 This is optional, but I love to prep out my skin before a very special day, it'll be easier to apply makeup on smooth skin, its like painting on blank canvas, so I used my Lancome Advanced Genefique at least a week before the D-day. Why a week? Because it works really fast, you can even notice differences by using it for 7 days, reduce wrinkles, reduce fine lines, give clearer skin, better skin's natural light, smoothness of skin texture, even out skin tone, firm up skin, and also lift facial contours. 10 goodness in only one product and you can feel and notice the difference in 7 days! I know that this is an anti-aging product, but prevention is better than cure, and I also feel my moisturizer absorbs a lot better to my skin after I use this! 3. Apply white shimmery eyeshadow in the corner of your eyes, then apply glitter liner on your lower lash line, YAY for sparkling eyes! 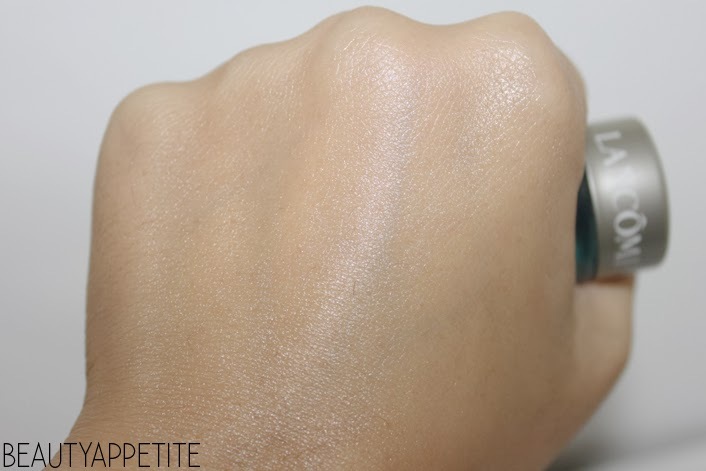 Powder your face, and apply your favorite blush! And to complete the look, use red lipstick. If you're loving glossy look on your lips, try Lancome Gloss in Love which gives you perfect amount of shine, the coolest thing is that this product doesn't dry up my lips like the other lip glosses do. What is your favorite holiday? When in doubt wear black. I really enjoyed taking outfit photos now, and I wish I could do more in the future. 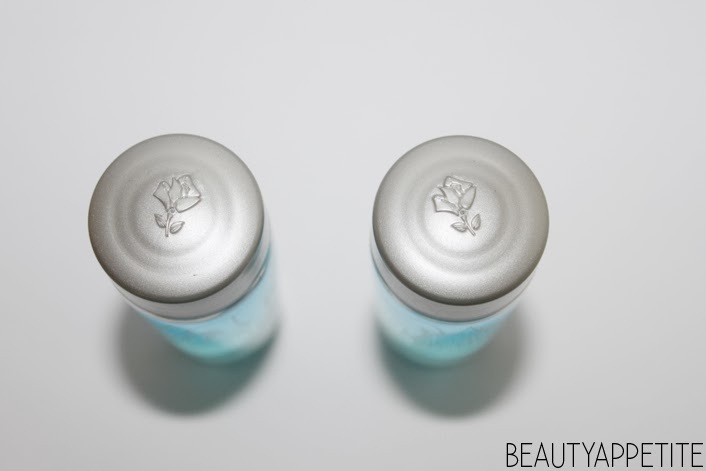 As always I love the simple and sleek detail of Lancome's products, especially the rose detail on the cap. So you can see there are two formulas in the bottle, you have to shake the bottle before use it. Dampen your cotton pad first (just a little amount is enough! 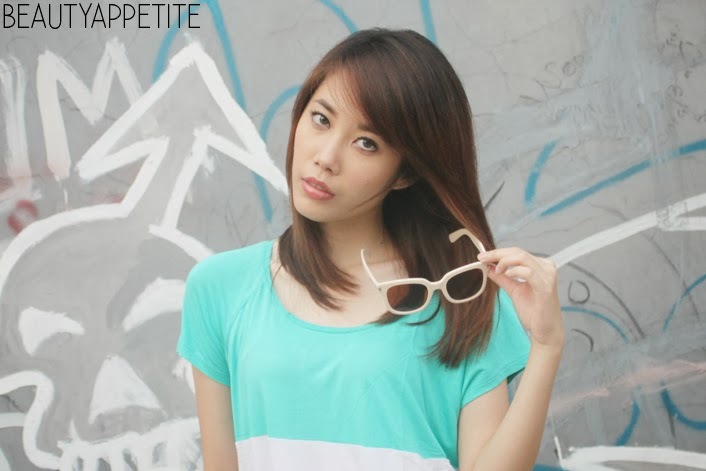 ), place it on your eyes for a few seconds, after that start patting your eyes gently then swipe it down, and voila! all of your eye makeup is removed! No tugging needed. 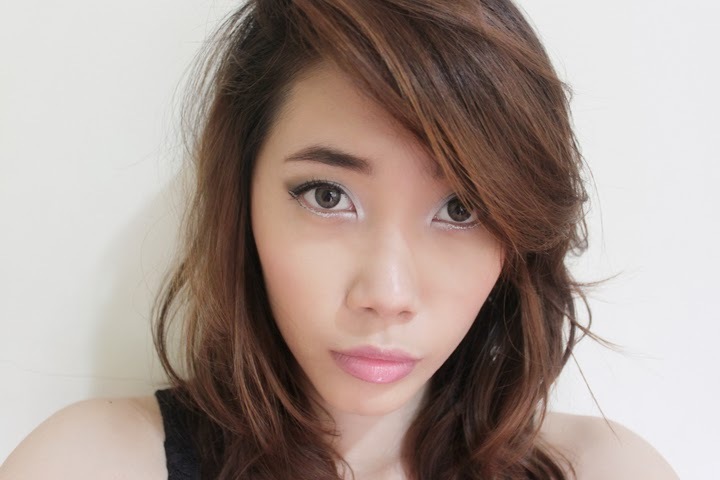 I usually remove my soft lenses before I remove my eye makeup, but one day I forgot to do that (bad Jessie, bad Jessie! ), I was afraid the solutions would burn my soft lenses and my eyes or something but again I was wrong! I felt nothing, it didn't burn my eyes, I didn't feel itchy at all! The solution is really gentle to my eyes, even when I wear soft lenses. It's really important to remove every makeup before you sleep, and this product really helps me to remove my makeup in seconds, because it's oil-based makeup remover, it works really amazing at removing even the most stubborn waterproof products, like mascara. I live in a tropical country and I have short and straight lashes, so to prevent smearing mascara and keep my lashes curled and perky I need waterproof mascara which is harder to remove compared to regular mascara, I need extra work and extra time to remove my waterproof mascara with regular makeup remover, and I regret that I didn't know about this amazing product sooner (because it launched couple years ago!) I don't need to tug my eyes, pull my eyes, nada. HA! You can see that they're all gone! It doesn't leave any residue. I told you already that this product is an oil-based makeup remover, and its really great to remove all of your makeup, but I find it not really useful if you want to use it as a corrector when you're applying your makeup. For example you draw your eyeliner a little bit to thick and want to correct it by removing the eyeliner using this makeup remover. 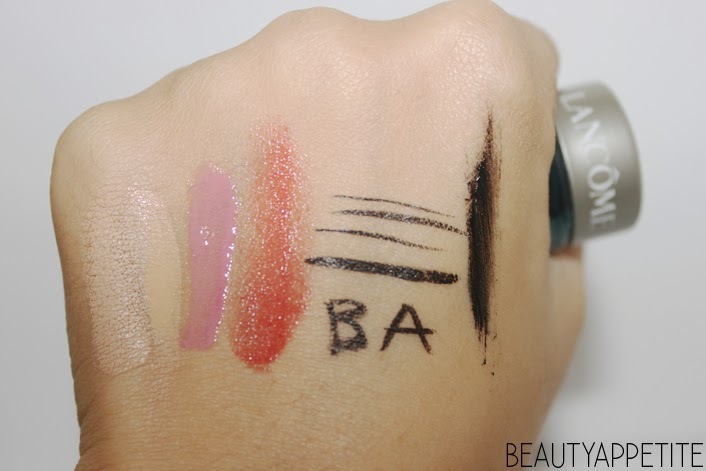 The formula of Bi-Facil will not dry as quickly as water-based makeup remover so it'll be hard to put makeup on after you use this product. I got couples of Bi-Facil in travel size from Lancome, and I found some online store sell Bi-Facil in travel size for about IDR 100,000 (US$ 10) so if you want to try out this makeup remover, you can buy for the travel size one first! I know that it's pretty pricey but it worth every single penny you spend! It's the best makeup remover and the most gentle makeup remover that I've ever tried. 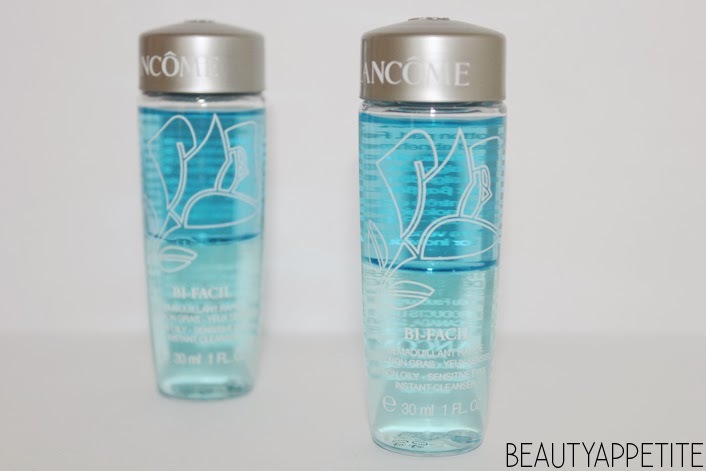 Have you ever tried Lancome Bi-Facil? I am loving my black skort that I was wearing that day, it's being reinvented from the 90s, whether you realize it or not, 90s trends have came back, you can see people wearing skorts, dungarees, and jelly shoes in the street, and seriously I am loving it!! 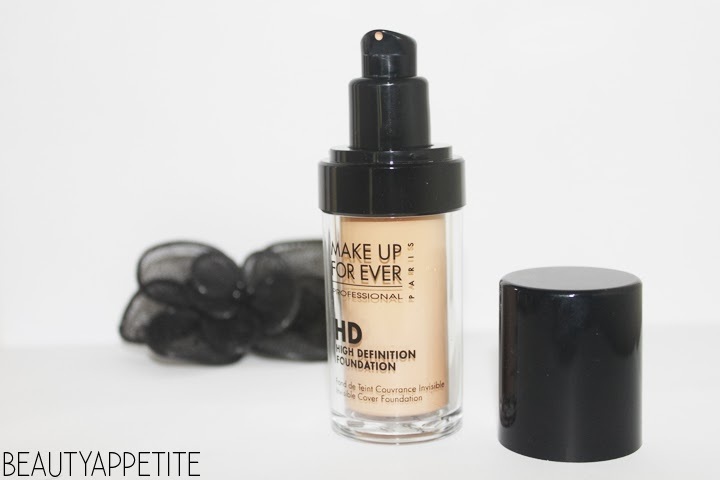 Make Up For Ever High Definition Foundation is one of the most famous product from Make Up For Ever, this liquid oil-free foundation is perfect for photography and I always use this product whenever I have to take some fashion shots. 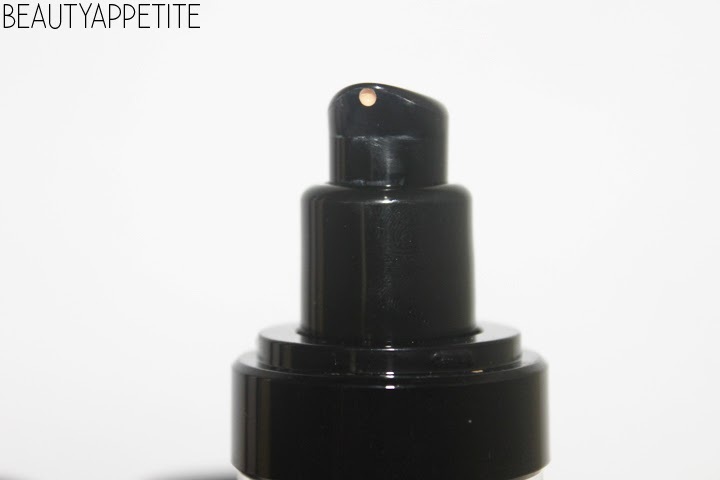 This foundation is one of my holy grail products! 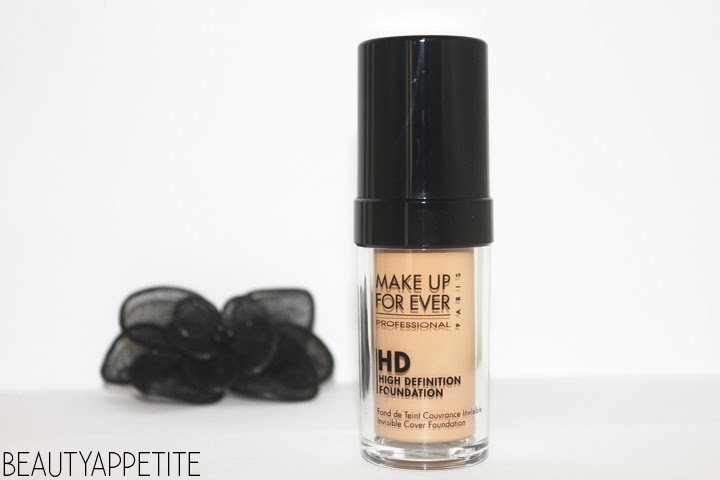 HD Foundation provides medium-to-full coverage, but it feels lightweight and doesn't make my skin look cakey at all. 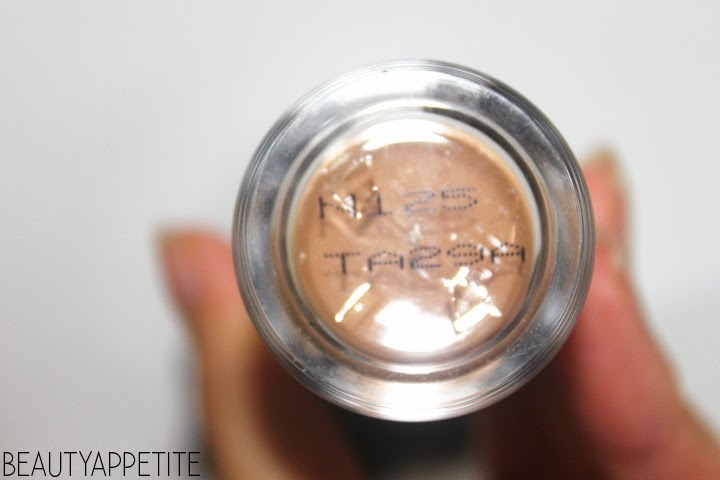 I'm using shade N125, and it has 25 shades in total, MUFE has good range of shades! I always use this with my Sigma buffing brush, and my skin looks awesomely flawless, it has good staying power because it is an oil-free product, always keep my face from being greasy all day, however my face will look a little dewy after a few hours but I like it!! 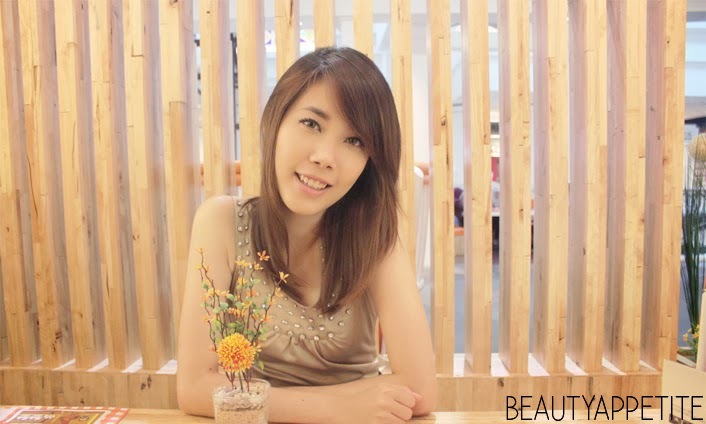 The best thing about this foundation is that is photographs incredibly well, it makes my skin looks a lot better, so make sure to get the perfect shade for your skin. 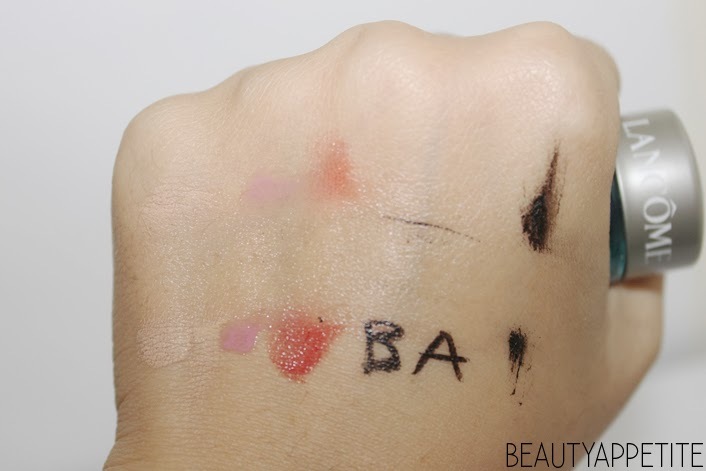 I also like the foundation pump, for the sake of hygiene I prefer my foundation in a safe container, to avoid it being contaminated from germs, and thats why I never use foundation stick, or any foundation that is placed in a jar or palette. And don't forget to shake before use this foundation. I really love this foundation, if you have oily skin like me, you will absolutely love it too! It costs you a lot (IDR 550.000) but it is a good investment, a bottle will last you for a long time because a small amount of product goes a long way, so it's definitely worth a try if you haven't already! I also recommend this product for all of you who works in front of camera or anyone who wants to look flawless in photographs haha! Repurchase: This is a staple product for me, so YEAH! !